I am so guilty of the old 3pm cake break mid week; I start to flag a little and instantly reach for a cuppa and something sweet to see me through till dinner. It makes me happy but it’s not great on my waist line which is why I have been on the look out for some tasty alternatives. With perfect timing I was asked if I would like to try out the new Knoppers snack which is just being launched in the UK! 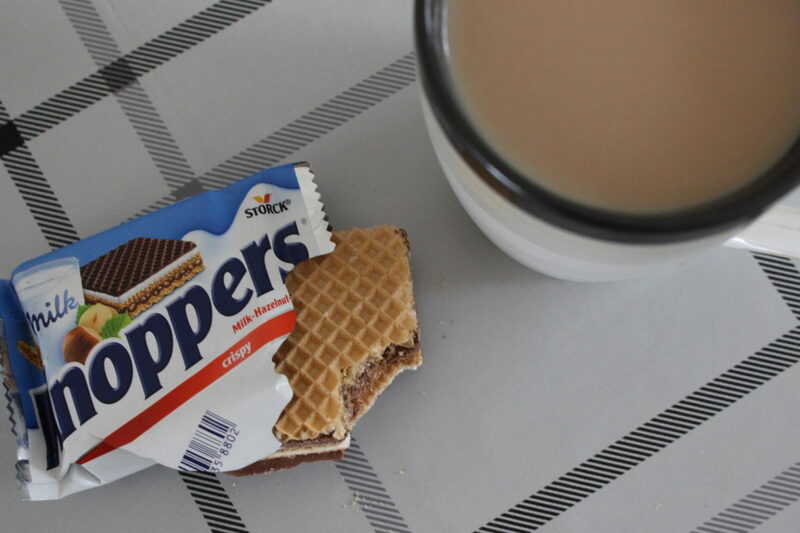 Knoppers is made with crispy baked wafers, a milky hazelnut filling and a chocolatey wafer coating – so a nice cheat snack I hear you say? And that is what I thought but no. This tasty snack contains only 137 calories! I didn’t hold out too much hope if I am honest, these low calorie snacks usually don’t match up for me. I find myself still left wanting something else but Knoppers was completely different. They outdid all my expectations, it really does feel like a treat but I have peace of mid knowing my little mid afternoon snack is more or less guilt free! Then I had an unforeseen problem; the girls spotted me tucking into my new favourite snack and asked to try some. Gone are my peaceful snack times as I find myself sharing! Anyone who knows me will know I am not a very good food sharer. Thanks so much Knoppers for introducing me to this little slice of chocolatey hazelnut goodness you have made snack time my favourite time of day! *Sponsored post, all thoughts and opinions are my own.